The humble pocket knife has been around longer than the pyramids and it’s likely that it played some small role in the construction of those marvels. 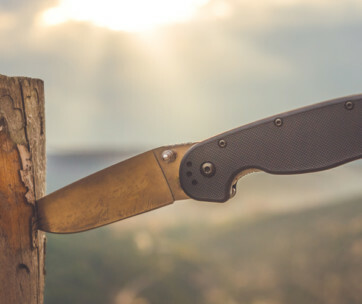 Today there are more variations of the pocket knife than ever before: everything from single folding knives to multi tools with several blades and every kind of attachment from a corkscrew to a mini USB flash drive. Because of the times we live in, however, people often become uneasy when you pull out a pocket knife. But there’s no reason to let their uneasiness deter you. If they ask why you’re carrying such a tool simply give them any of the following 25 reasons. In fact, give all 25. They’ll likely start walking away by the time you hit reason 12 or 13. 1. Opening packages – This invariably leads off the list of uses for a pocket knife and for good reason. Thousands, perhaps millions, of packages are opened using pocket knives each day by everyone from homeowners who’ve ordered electronics online to large companies that receive hundreds of boxes via FedEx, UPS, snail mail and more. If you’re a receiving clerk who works on a loading dock and you don’t have a pocket knife good luck. 2. Removing staples – This one is often related to opening boxes because many boxes are both taped and stapled. Once you’ve opened the box you can’t just leave the staples dangling there. Someone could get a very nasty cut. The pocket knife is the perfect tool for removing and disposing of them safely. 3. Slicing fruit – Whether you’re sitting around the campsite or on your front porch slicing fruit with your pocket knife is an age-old tradition. 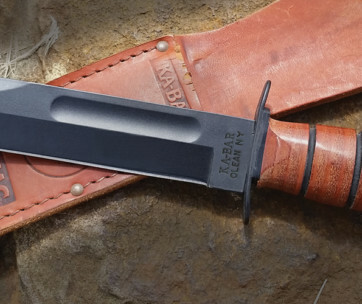 At the campsite, it’s practical as all get-out while sitting on the front porch slicing an apple and eating it straight off the blade will send your manly cred through the roof in the view of the neighbors. 4. Sharpening your pencils – Pocket knives have been used to sharpen pencils as long as there have been pencils (like these mechanical pencils). While you may not want to pull out your Buck knife in class to sharpen your pencil you may need to do so if you work on the aforementioned loading dock. Or if you’re at home and can’t find the pencil sharpener. 5. Opening cans – Sure, you’re not going to lug canned goods up a mountain but if you’re just going to camp at the shore for a week they make a lot of sense. Plus, they’re not plastic and won’t wind up in the Pacific garbage patch. Those times when you forget or lose the can opener, however, can be vexing unless you have a pocket knife with you. 6. Removing splinters – You don’t have to be a carpenter or furniture maker to get splinters. But if you have a pocket knife handy it doesn’t matter. 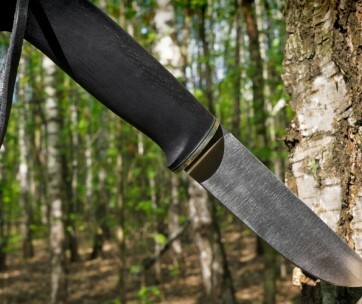 A pocket knife can be particularly useful against deep-seeded splinters embedded beneath the surface of the skin. Just make sure to sterilize the blade by holding it over a flame or dousing it in Listerine before using it. 7. Whittling – It’s a pastime as old as the hills and one that’s shown remarkable resilience even in our modern age. Maybe because it’s so simple and timeless it’s often a favorite of campers who sometimes use the shavings to help get their campfires started or simply enjoy passing the time whittling while contemplating the mysteries of the universe. 8. Stripping or cutting electrical wire – If you’ve ever watched an electrician work you know they couldn’t get much done without their pocket knife. They use them constantly to cut wire or to strip the wire’s ends before hooking them into the back of outlets, switches or breakers. Any DIYer who’s ever hung a chandelier will attest to the value of the pocket knife. 9. Cutting bait – Fishermen are another group who wouldn’t be able to do much without their trusty pocket knife. If the line has become entangled you’ll need to cut it and good luck trying to snap 100lb test with your bare hands. And while it’s not technically what people mean when they say “cutting bait” you can use your pocket knife for just that; cutting up your bait into manageable sizes. 10. Gutting fish – While we’re on the topic of fishermen they’re constantly using their pocket knife to clean their catch. There’s really no other tool for the job. Once the catch is properly gutted and cleaned it’s time for the grill. You can even use your pocket knife to fillet smaller fish. 11. Freeing an accident victim – There have been numerous documented cases where rescue workers and other first responders have arrived on the scene of an accident only to find someone trapped by their seat belt in a burning vehicle, although you’ll want to make sure you’ve run the blade over a knife sharpener before attempting to save someone. In these cases, however, the pocket knife can be the difference between life and death in no uncertain terms. 12. Opening a bottle – While it’s not on the same level of importance as freeing someone from a burning car wreck there are times when you’ll have a bottle that requires an opener but no bottle opener is available. What to do? In those cases just reach for your handy pocket knife and work your way around the cap prying up the individual folds until the cap falls away. 13. Peeling vegetables – Let’s go back to the campsite for this one. If you’re on camping vaca and you remembered to bring everything except the peeler for your vegetables you’re good to go as long as you bring your pocket knife with you. Just be sure to wash it off good before using it on food. 14. Reaming your pipe – While pipe smoking is something of a niche activity these days (unless of course, you’re talking about smoking weed in a pipe) pipe owners still need to keep their bowls clean by reaming them regularly. It can take practice to do so in a way that doesn’t remove the cake on the inside of the bowl but with a good pocket knife and some practice you’ll be good to go. 15. Cleaning car battery terminals – Ever call for help getting your car started? Ever watch the technical/mechanic as they go through their checklist? If you have you’ve probably watched them take out their pocket or EDC knife / Hunting Knife and clean any corrosion from the battery terminals. If you do this yourself, be careful. Those corrosive materials are, well, corrosive and will eat a nice hole in your clothes. 16. Breaking down boxes – Whether you’re the receiver on the loading dock mentioned above or just someone who receives a lot of boxes from Amazon you’ll need to break them down in order to wrap them up into neat, compact bundles for recycling. 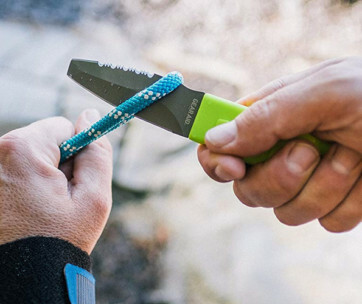 There’s no better way to do so than with your trusty pocket knife. 17. Skinning your catch – If you’re a hunter you know how important it is to cut up your 12 point buck and get it on ice quickly. Before you can break out the hacksaw though you need to skin your game and that’s where your pocket knife comes in. Sure, you’ll need a good size pocket knife to do it right but you’re a hunter. You have one. Right? 18. Cutting rope – Anyone who works with heavy equipment knows that sometimes you need a knife handy to cut ropes. Climbers too know that there’s going to come a time when you’re in a tight spot and your safety line gets tangled. When that happens it becomes more hindrance than help and needs to be cut loose so you can attach a new one. 19. Indicating where to cut – There are times you need to cut something and you’ve lost track of your pencil. In those cases just pull out your pocket knife and use it to indicate the cut line. 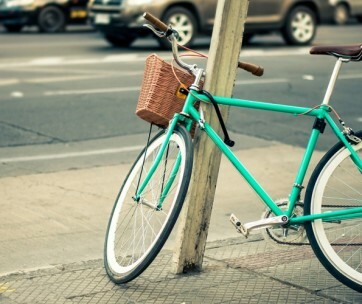 For example, you’ve lost the keys to your bike lock and it needs emergency cutting – mark it up with your knife and get that chain off! Likewise, you can use the tip of your pocket knife to leave a precise mark indicating where a screw should be sunk or a nail driven. 20. Tourniquets – Mountain rescue teams often find themselves faced with climbers who have fallen long distances and are bleeding from serious wounds. A tourniquet is needed quickly and that’s where the pocket knife comes in. Use the knife to start the tear line and then you can rip it the rest of the way using your bare hands. 21. Opening wine – Who hasn’t found themselves in the park on a beautiful Saturday afternoon with their beloved about to open a bottle of 1787 Chateau Lafite when suddenly they realize they forgot the corkscrew? If your pocket knife has a few added features a corkscrew might well be one of them. If it isn’t you can still open your wine with your pocket knife, it just won’t be so pretty to watch. 22. Opening letters – Ten years ago this would have been near the top of the list but since almost no one writes anymore it’s slid down a bit. Still, you never know. You may become involved with someone who loves to write longhand letters or you may just get lots of bills via snail mail that need opening. The pocket knife was made for love letters. Not so much for bills. 23. To cut tape – Let’s say you’re moving and have tons of boxes that need to be taped up. Your sweetie is monopolizing the tape dispenser and you don’t want to demand she share it because she’s your sweetie (duh!). What to do? Well, if you have a pocket knife there’s no problem. People have been using pocket knives to cut packing tape since packing tape became part of packing and are likely to keep doing so for the foreseeable future. 24. To defend thyself – There are better ways to defend yourself than with a pocket knife (a Glock 17 comes to mind). But there may someday come a time when it’s your only means of self-preservation. In that case you’ll be glad you have it, and even more glad that you bothered to invest in that self-defense course that taught you the proper way to use it instead of just holding it out and having it slapped from your hand. 25. To shotgun that beer – Okay so you’ve opened a bunch of boxes, removed some staples, cut some bait, rescued someone from a burning car, skinned a buck, opened a Dear John letter and defended yourself from assault on the way to your buddy’s house where you plan to drown your sorrows in a few brewskis. Make those brews count by opening a hole in the side of each can and shotgunning the contents. Just make sure you don’t get anywhere near a motor vehicle afterward. 26. To survive the zombie apocalypse – According to a number of YouTube channels, the zombie apocalypse is right around the corner which makes the likelihood real-world enough for us. When the undead appear on your front porch, your handy keychain knife probably isn’t going to be a lifesaver. So you’re going to need a sound way to protect yourself and nothing’s better than your good old pocket knife. When using a pocket knife to neutralize a zombie you’ll need to get in close and go for the vital organs. You may even want to have a knife in each hand just to ramp up the slaughter. Once you’ve freed yourself from the initial wave you’ll want to take a few minutes to sharpen your knife using any one of a multitude of first-class sharpeners available through Amazon. Just make sure you don’t dawdle because where there’s one horde of zombies there’s always more. 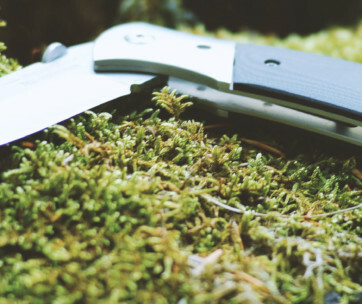 We hope you found this list helpful and informative and remember; a pocket knife is more than something you carry around to show to your friends. It’s actually one of the best friends you’ll ever have.